ABUJA: The All Progressives Congress, APC, Governorship Campaign Organization in Rivers state has reacted to Friday’s Supreme Court’s judgement, saying it remained hopeful of victory at the apex court as judgement on the substantive suit is slated for Monday. 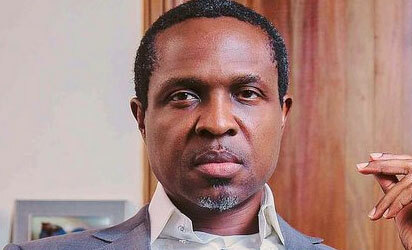 Ogbonna Nwuke, Spokesman of the Tonye Cole/Giadom Campaign Organization, in a statement in Abuja after the judgement, urged APC supporters in the state not to be disheartened. “Our attention has been drawn to reports which suggest that Ibrahim Umar and 22 others have secured a final determination at the Supreme Court. “Based on the various conflicting headlines being carried, it is critical to state that there are other pending matters, including the substantive appeal, which is yet to be determined by the Supreme Court. “Our faith in the judiciary remains unshaken. We wish to urge our numerous supporters not to panic, following the deliberate misrepresentation of facts on the social media and elsewhere regarding the outcome of today’s judgement. We shall surely be triumphant in the end”, Nwuke said. Also speaking, Director, Strategic Communications, of the APC Campaign in Rivers, Prince Tonye Princewill said there was no cause for alarm. “I just spoke to our lawyers. Today’s judgement is nothing to worry over. I thought it was worse when I heard that the Wike and Magnus camps were celebrating. But after the beating they have received in recent weeks, any news is good news for them I suppose. Our two appeal court judgements remain valid, no one else has been declared candidate and the substantive matter has not even been touched. That will be coming up on Monday. So no cause for alarm”, he said.